Photograpic works printed in Large Format Size. Why not hire my printer! With options to print large photographic prints on canvas and fine art papers from A3 to A0 size on the professional quality HP Z3100 44"series photo printer. This service is available to offer customers Fine Art quality reproductions without the system costs involved in 12 colour photographic printing. 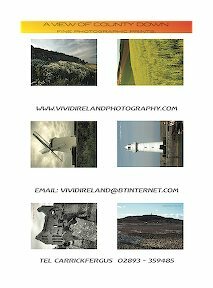 Vivid Ireland Photography incorporate Xrite i1 colour management into our colour reproduction system from Input to Final output giving consistant colour each time on all printed media. Vivid Ireland Photography can offer photographic reproductions on canvas media in matte, semi-matte, or gloss finish incorporating high quality laminates to protect all Vivid Glicee canvas reprodutions these selected photographic images are available directly through this website also we offer photographic prints in Satin, Matte, and Gloss finish suitable for framming behind glass from this website. 1 Customers can also send your photographic Images to us for printing in the following formats, Jpeg, tiff, Pdf, the following are required before we can print. 2 State your required print size(s). 3 The reproduction output required ie :Colour or Black & White output. 4 Number of Print(s) required. 7 Include any details of the photographic file including the reproduction method you require for final output. 8 Submit your payment via Paypal. 9 All photographic prints will be sent to customers via the Royal Mail signed for recorded delivery service. 10 For canvas prints contact me for further details with your requirements.